Users with private accounts have long had the ability to remove followers and immediately cut off access to their own content. But an increasing number of public accounts have also gained the option to manually kick people out of their pool of followers. 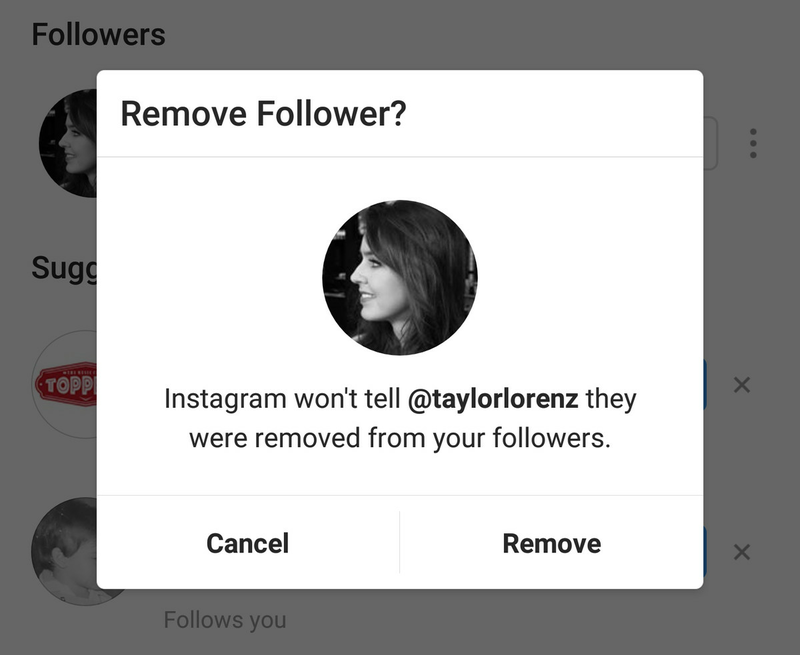 Reports of this new “remove follower” feature have been popping up over the last few months, and it seems to be rolling out to a bigger sample of users — at least on Android. After seeing Matt Navarra tweet about it earlier today, I reached out to Instagram and a spokesperson confirmed that it’s in testing. The company declined to provide more specifics on a full release for all Instagram accounts. Why might you want to remove followers? Maybe you just don’t feel great about old friends or ex partners keeping tabs on your life. Blocking and unblocking people essentially leads to the same end result, but this avoids the awkwardness of someone potentially realizing they were blocked — even for a short window. It’s less aggressive. Instagram notes that users you choose to remove aren’t notified about the action. That leaves room to stir all sorts of drama and cause a lot of “I could’ve sworn I was following you” from the person on the other side. This time, Instagram is trying to give you a little more power over who follows you — without taking the big step of switching your account to private. Several folks at The Verge with Android phones (including myself) are seeing the Remove Follower function. To check if you have it, go to your own profile page, tap on followers, and then you should see an icon with three vertical dots to the far right of a user’s name. Tapping on that brings up the prompt to remove someone.